Great news! Richard Keegan and Eddie O’Kelly have published Lean Service. Lean is about VALUE … the creation, delivery and retention of value. Musgrave Group, Openet, Parker Advertising and Thornton Partners. 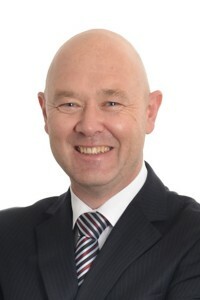 Richard Keegan is the manager of the Competitive Department at Enterprise Ireland, where he and his team are responsible for the Lean Business Offer, the Benchmarking Service, Environmental Assessments and the Green Start and Plus Programmes, as well as for the Envirocentre.ie and assisting companies to access European support for environmentally-based improvement products. He has written extensively on the area of Lean/Best Practice/World Class Business. His approach of combining benchmarking and Lean tootls and techniques has been adopted by UNIDO to help companies in the developing world to achieve competitiveness. Eddie O’Kelly is Emeritus Professor of Industrial Engineering at National University of Ireland, Galway. A holder of three master’s degrees in Engineering and PhD in Applied Mechanics, Electrical Engineering and Economics, he worked as a professional engineer in Paris and Strasbourg before setting up a subsidiary of Ulmic s.a in Cork.